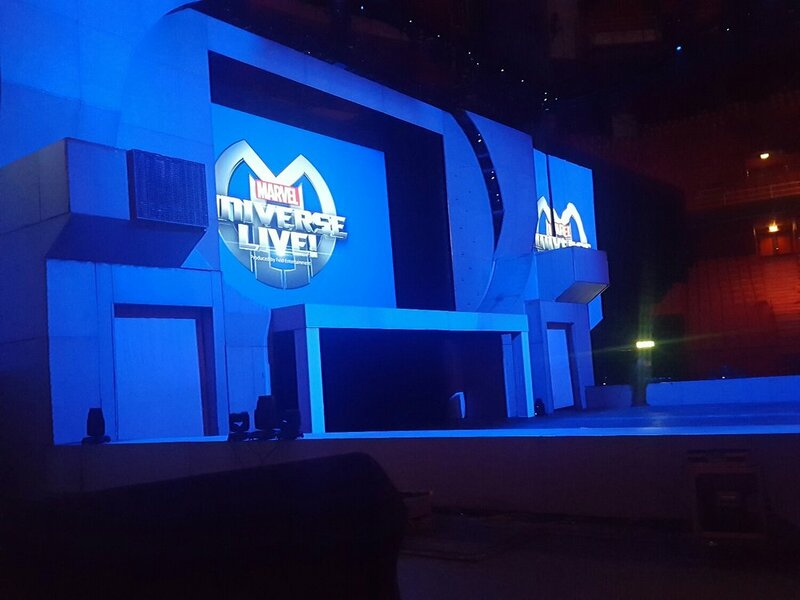 Flameprotect UK have just completed a huge fire retardant application job for the Marvel Universe live Tour in Sweden before the make their way to Germany for the next leg . The job was completed between 28th and 30th October and consisted of over 2000sqm of stage curtains and drapes and 120 different costumes. This is the 3rd time the Chris and Wes has had to travel into Europe as the duo have already completed work in Estonia and Italy.